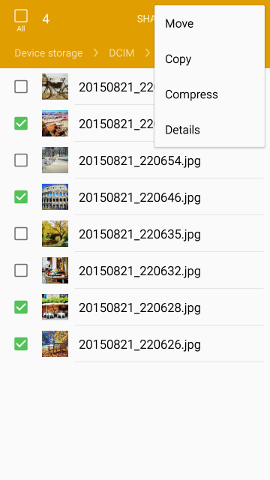 You can save room on your device by moving pictures, videos, and other files to your Google Drive™ cloud storage. Note: Your device does not have a microSD™ card slot. 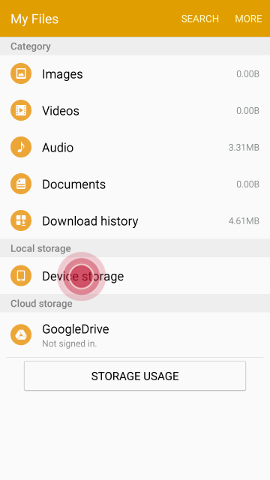 External storage is available through cloud storage. Note: The My Files shortcut may be located within the Tools folder. 3. Touch Device storage . 5. Touch and hold a picture you want to move, and then mark the checkboxes for additional pictures. 6. Touch MORE > Move or Copy. 7. 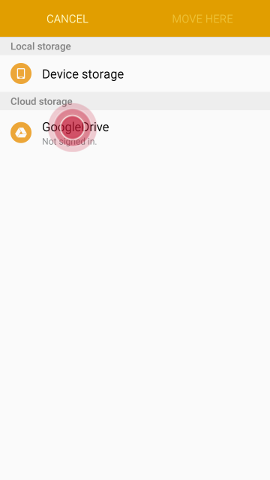 Touch Google Drive . Note: You will need to sign in with your Google™ Account if you have not already done so. 8. 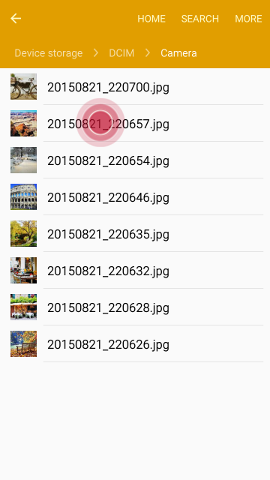 Select a folder, or touch CREATE FOLDER to make a new folder for the files. 9. Touch MOVE HERE or PASTE HERE. Galaxy S6 edge+: How do I print wirelessly from my Samsung Galaxy S6 edge+? 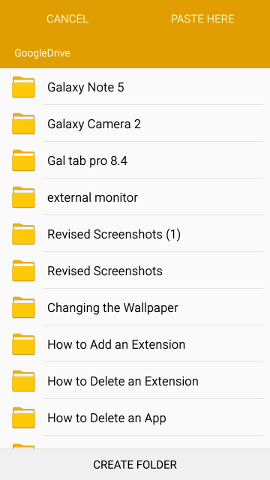 Galaxy S6 edge+: How do I view and share screenshots on my Samsung Galaxy S6 edge+?